Disclaimer: no jeans were harmed in this feeding frenzy! During our Easter egg hunt on Sunday morning, we found a pair of Nick's jeans that had been blown off the washing line. Many millipedes and slaters had taken refuge beneath. 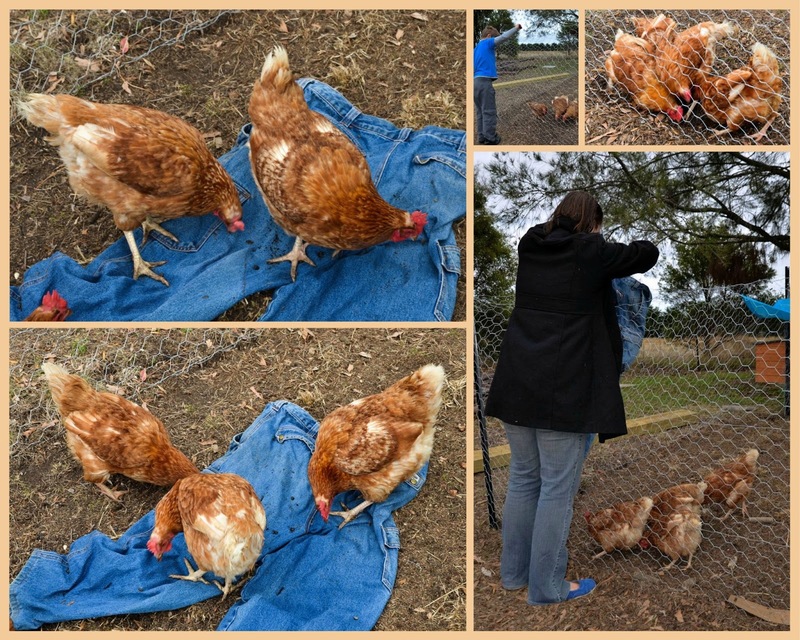 Quite a few remained on the jeans, so Erin raced off to the chicken run and tossed in the denim - and the delicacies! Another pair of Nick's jeans had fallen off the line yesterday, so the chookies scored again!! It is interesting to note the girls obviously prefer slaters over millipedes but they are not alone in that!